Body Stress – Mind Body Thoughts - How Much Do You Hold? If you're facing body issues or emotional turbulence in life, stop for a minute and ask yourself, "what was happening right before this showed up?" Do you realize just how much body stress you hold in your life? Most of us know that stress impacts us, but few truly understand how much it affects the body. If we did comprehend this, we would change how we spend our days. 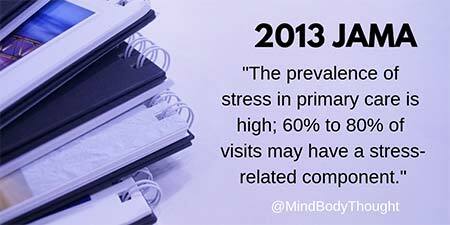 If you haven’t seen the statistic flying around about stress, it is pretty startling. As much as 60 to 80 percent of all primary care physician visits are related to dysregulation resulting from the effects of body stress. Stop and think about that for a moment or two. It is a high percentage. If doctors could share what they would like to, it would blow the socks off of their patients. 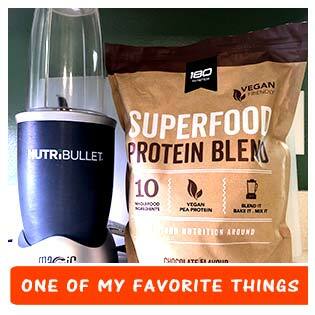 However, no one wants to hear that it is stress causing their ailment or pain or issue. No one wants to be confronted that it is because of repressed emotions. To many people, this is just crazy talk. Unfortunately for those that understand it, the cause is body stress that goes unresolved. What Was Going On Before? He knows without a doubt that life’s circumstances and experiences impact our ills, aches, and pains. There is a direct correlation between what the body is expressing and how much we are repressing or dealing with in life. Just before I was paralyzed, I had extreme neck pain and stiffness. Body stress was at an all-time high but I could not see it at that moment. I was seeing a chiropractor in those days. While each doctor visit helped, the benefit only lasted for a short time after continuing with my day. 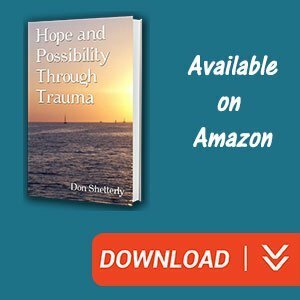 It made no sense to me in those days that even though I was taking time out to do something good for my life, the toxic stress of the day continued to build up. Because I was not dealing with the toxic stress, it was dealing with me. I remember times during the holidays when I would get sick and often lose my voice. Of course, no one suspected body stress. It was just the flu or laryngitis. Unfortunately, that was so far from the truth but I was too numb and disconnected to realize it. My parents also didn’t know any better. 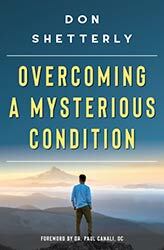 The ultimate moment where I ignored the body stress was when I was paralyzed from conversion disorder. I had gotten so good about ignoring my body and numbing myself in life, that this was the result. Far too often, we think we know much more than we do. This can be a defense mechanism to keep us from truly being aware and conscious. We go through our daily activities claiming that is what is required, but we do not fully grasp the effect upon the body. The mind body is disconnected. No one is home. 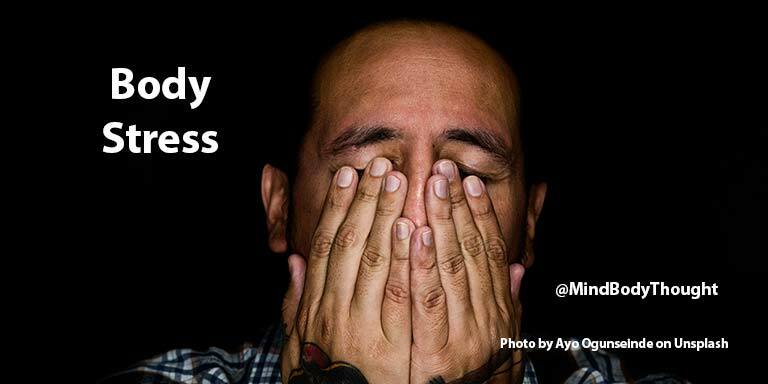 Stress impacts us in significant ways. We are not a healthy people, but ones that have been pushed so far past our limits that this is the result. Yes, I know we don’t want to think we are a stressed-out person because in our minds it feels as if we are weak. However, we have turned this logic around backwards. The person that deals with body stress is the person that is in control in life. If you’re facing body issues or emotional turbulence in life, stop for a minute and ask yourself, “what was happening right before this showed up?” Asking that question will help your mind focus on what is the root cause. Once you can see more clearly why body stress is showing up, you can go in and connect through the felt sense. By connecting internally to what we feel coming up in combination with the physical reality, we gain a new awareness. As we gain this new awareness, we then have the choice to let go of the trapped energy in our cells and neural pathways. 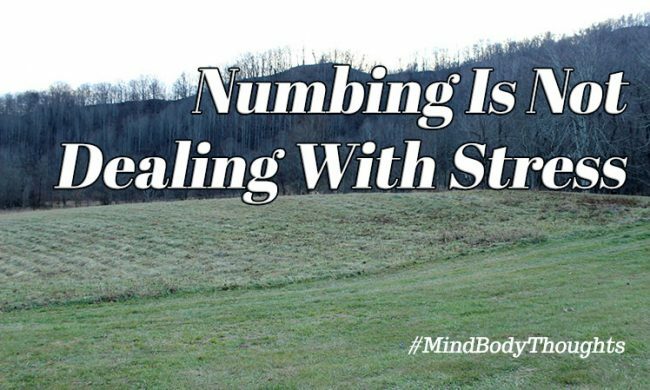 When we learn to deal with body stress, it is then that we begin to interact with our biology. It provides us with the opportunity to take back our lives and live more fully with joy and peace. The opposite is being numb and disconnected where doctor and emergency room visits consume our days. 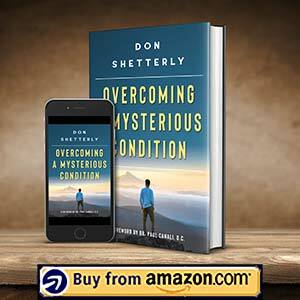 If you want to learn more about body stress, read Chapter 9 of my book, Overcoming A Mysterious Condition. Do You Have Body Pain?